3By identifying which zone applies to you, you can select the correct product to help you treat your specific problem area. Our award winning Shoulder Brace has been developed in conjunction with the London Spine Clinic, Harley Street. 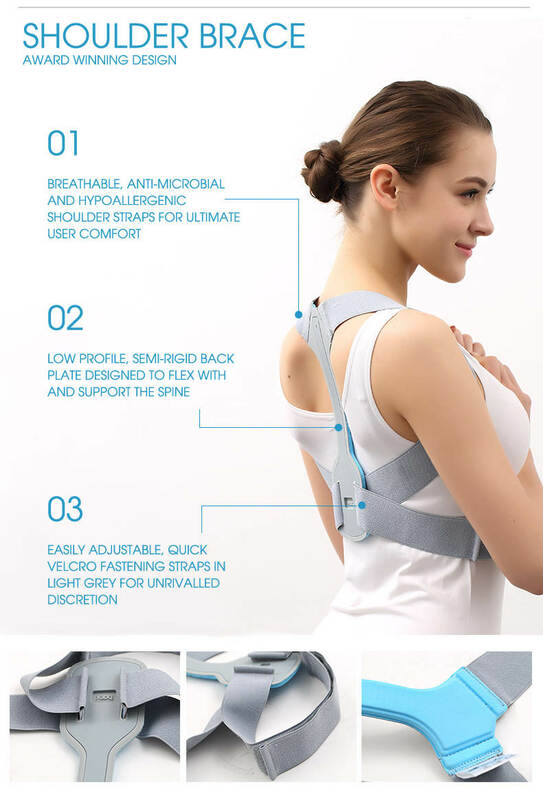 Specifically designed for your upper and middle back, the Shoulder Brace helps to improve posture, prevent slouching and relieve pain. It is important to fit the Shoulder Brace correctly, in order to obtain the right tension. Please watch our video on how to fit and wear the Shoulder Brace. 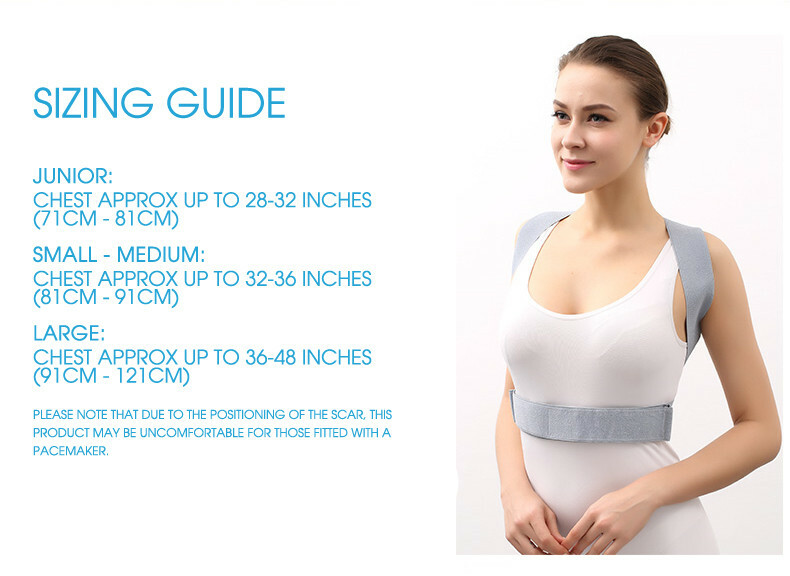 Our Shoulder Brace sizes are based on your measurement just below the chest, across the ribs. Please measure yourself and choose your size based on our size guide. In the box you will find the Shoulder Brace plus instructions to help you fit and wear the brace correctly. How do I wash the Shoulder Brace? We recommend wiping the Shoulder Brace with a damp cloth and leaving it to dry naturally.